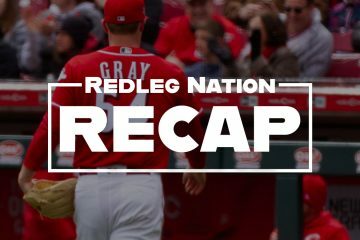 Way back at the beginning of this fateful season, when some of us were convinced the Reds could sneak into the playoffs, I decided to make some predictions. My crystal ball was full of optimism, hopeful that young players could step forward and that the front office would do something, anything that made sense. I have since been reminded to never, ever be optimistic when regarding the Reds. It’s been a long slog from those initial predictions to now, with too many injuries and too little joy in the middle. 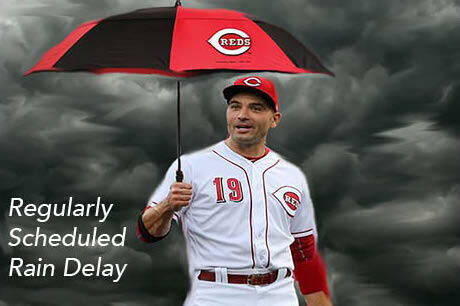 But I’ve loved doing this Regularly Scheduled Rain Delay for a second season and having you all participate so intelligently every other week. Until 2019 then. Sike, not done with me yet. We still have to settle the small matter of Author Views. Despite Matt making a valiant challenge right at the end, there was one clear winner in this fight: Me. I look forward to the grudge match in year three, with both Matt and I taking a title. Need to have something to compete for in 2019, right? 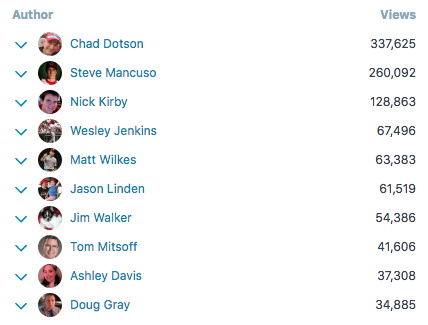 Oh, and on the small matter of my fantasy baseball team: The Kangaroo Court Fees ended up 1-20 on the season, finishing last in the league again. As I said, 2018 was a sad, sad year. The “sike” made me laugh. Always great to resurrect slang from 30 years ago. And I’m with you Wes, I was more optimistic about this season. And really, there were a lot of good things that happened. We found out Peraza can actually hit. We found out Scooter wasn’t a mirage. Geno become one of the greatest 3B in all of MLB. But I feel now the same way I did at the end of last season. There’s light at the end of the tunnel. 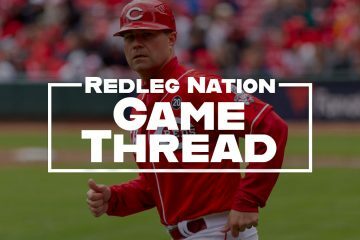 Castillo, Reed, Disco, Mahle makes for what could be a pretty decent rotation next season, and if the Reds can bring in one more established starter, they could really go places. I think the psychological boost of a fresh start and not having to overcome a 3-18 record will inspire the players to give it a little more, and with the proper manager, this team could eke out a slightly better than .500 record next season. Oh, and get rid of Billy Hamilton. Just do it. If Homer Bailey is still around next season to stir up the pitching optimism that has recently emerged, then 2019 will be another disappointing Reds season. If the Reds would have brought Senzel up when they should have he may mot have had a broken finger. Come on, Wes. That “Your folk hero….” phrase on Scooter is a back-handed compliment or a little snarky. Just trying to zing you, not really complaining. It’s easy to make predictions, but they often aren’t accurate.